Today, Host Brett King is joined by co-Host Chris Skinner, Author of Value Web, to begin our 5 week series delving deep into the blockchain. This week, it is the basics of blockchain- What is blockchain? What is bitcoin? What is Ethereum? And what is all the news about a hard fork? 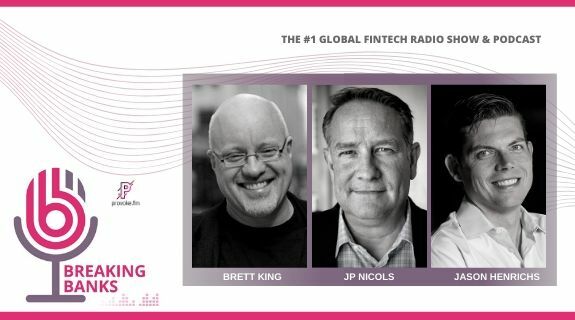 Theo Priestley, a top Fintech thought leader and writer, Simon Taylor, Director of Blockchain at FS-11, and John Lillic, Director of Business Enterprise at Consensys all join to explain all the basics, and clarify what you thought you knew! Named by City AM as one of the Top 10 most influential people in Fintech, Simon’s work at Barclays focuses on understanding the impact of new technology on Barclays businesses and clients. Simon has been heavily involved in the Barclays Accelerator programme since its inception and now leads much of the effort Barclays has in Blockchain R+D. Consensys On the for profit side, dedicated to delivering solutions that enable companies across industries and geographies to benefit from simplified technology landscapes, integrated processes, streamlined operations and improved agility and performance the Ethereum blockchain ecosystem delivers. On the non profit side, John is the co-founder of Code to Inspire is a 501c3 filed non-profit committed to educating female students in Afghanistan and improving their technical literacy by teaching them how to code and helping them find employment as programmers. Technology Evangelist, Paid Speaker, Startup Mentor @AlchemistAcc @VirginStartup. Top 100 #Fintech #AI #VR #IoT. Tenacious Scotsman.